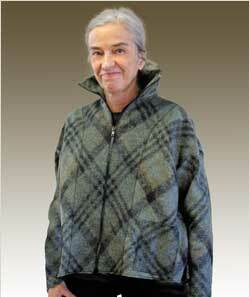 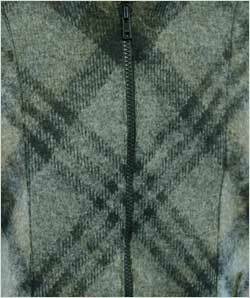 Notes: Maryjane choose a diagonally printed felted knit to make this easy to wear zip-front jacket. 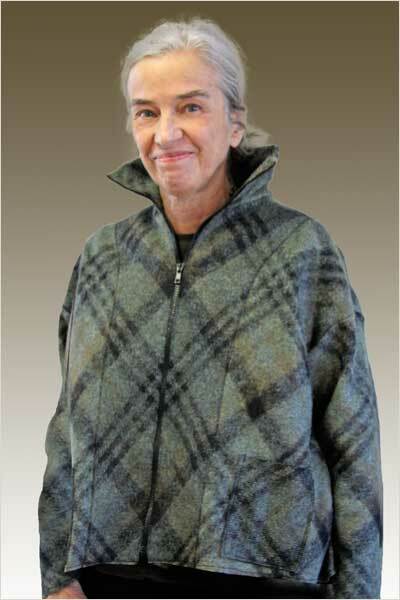 But by carefully matching the plaids, including the patch pockets, and reversing the fabric on the front facing, she added another texture and a new dimension to the project. 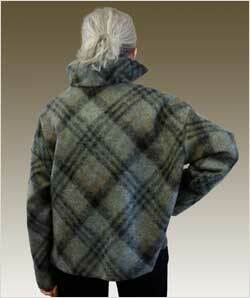 Through her use of luxurious fabric and creative, skillful execution, Maryjane elevated a casual jacket to a unique fashion piece.